Munich - Three games, three wins and twelve goals. It's fair to say that FC Bayern Munich, sitting top of the table and entering a run of six matches in the space of 18 days, have thrown down the gauntlet so far this season. Though an Adam Szalai spot-kick kept things interesting in their 3-1 win against 1. FSV Mainz 05, the record titleholders look to have all the tools they need to cope with the rigorous schedule ahead. Goalkeeper Manuel Neuer is of the same opinion. Speaking after Bayern's third consecutive win of the season, the Germany shot-stopper discussed his side's prominent absentees, new-signing Javier Martinez and the Bavarians' upcoming encounter against Valencia in the 2012/13 UEFA Champions League. Question: Manuel Neuer, Bayern Munich have started this season with three wins out of three. You could say things are running very smoothly right now, but after Mainz pulled a goal back was there any fear that things could take a turn for the worse? Manuel Neuer: In that situation you always have to have respect because a team like Mainz are obviously determined to take points. We allowed ourselves to slow down a little and of course Mainz answered back. They were awarded a penalty and made the most of it, which created a little problem for us. However, we once again demonstrated that we can play sensible football when we need to. Question: Any other team would have despaired if two players like Franck Ribery and Arjen Robben had been ruled out prior to kick-off. Bayern, meanwhile, compensated for their combined absence with minimal fuss. Does that bode well with a view to the packed schedule ahead? Neuer: There has already been a lot said about our summer transfers and in that respect we've definitely improved. People can see for themselves the types of players we can call upon. We've already gained in quality in that respect and consequently we're more than capable of continuing in the manner we've started. Question: Many had only heard about Javi Martinez from the various newspaper reports over the summer and as a result he's being closely watched as the Bundesliga's new record transfer. Are you any different? Neuer: I'm always watching what goes on in the game because I have to be aware of where the ball is and, when he comes off the bench, it seems that he often has the ball. However, I didn't make a big effort to read the newspapers to inform myself about him before his arrival. The only thing that's important to me is what happens on the training ground and on the pitch. Question: The Champions League kicks-off again on Wednesday for Bayern. Have you finally managed to process last season's agonising final defeat? 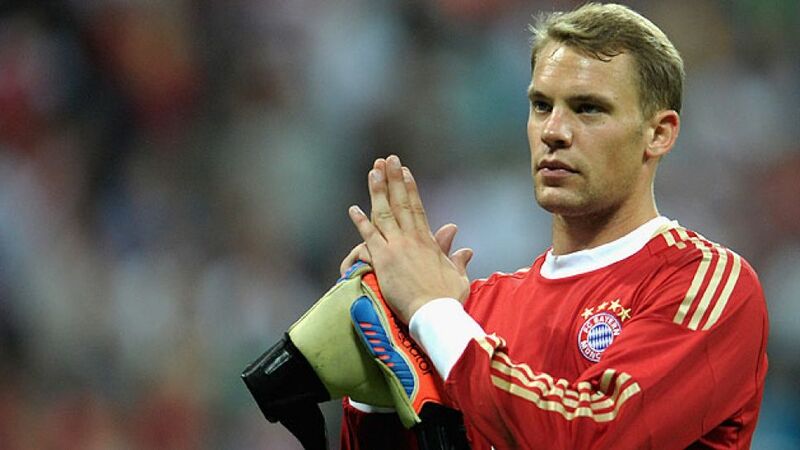 Neuer: It's natural to always want to achieve the maximum amount of success. Unfortunately we squandered that opportunity last season, but we're looking to the future. We get to start from scratch again and in our first match we face a very strong opponent who we want to pick up our first three points against. Neuer: Looking at the names on paper we've definitely had a little more luck than last season. Nevertheless, we've got to take every opponent seriously in this group because they've all rightfully qualified and deserve to be playing in the Champions League. From that point of view it's going to be fiercely competitive once again.